The Aquarius® Alternative Treatment Units are designed for many projects, including Mining Camps, Caravan Parks, Schools, Universities, Recreational Facilities, Wineries, Hotels, Motels, Unit Developments, and many other commercial ventures. The complete range of Aquarius® ATUs treat all the wastewater from the commercial site. 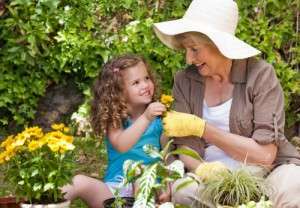 The wastewater (from wc, kitchen, bathroom and laundry) is treated to current Department of Health WA (DoH WA) standards that allows it to be used for irrigation in garden beds, orchards, etc, or disposed into leach drains, soakwells and aquasafe drains. 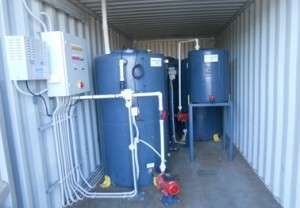 In addition the O-2NR and O-3 models further treat the water to reduce phosphorous and nitrogen levels and these two ATU models are classified as nutrient retentive which is essential in water catchment areas, environmental sensitive areas and to comply with some Local Shire and Department of Health WA requirements. The Aquarius® O-3 ATU we believe to be the most environmentally friendly ATU on the market by using Ozone as the final disinfection process. 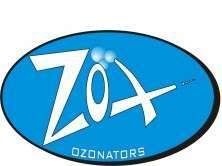 Ozone is many times more effective than chlorine and the by-product of Ozone is Oxygen. As each commercial application is different we configure and design a system to suit your project. Please contact us to request a checklist or call us to personally discuss your requirements. We discussed our waste water requirements with Aquarius when we installed our winery and cellar door and chose a small industrial O-3 ATU. It has performed flawlessly in handling our winery waste and also the commercial toilets from the cellar door. Maintenance has been easy and our grape vines have benefitted from the recycled water. Staff at Aquarius have been excellent in the planning and installation of our ATU and I can’t recommend the unit more highly. We decided on an Aquarius Alternative Treatment Unit for our house and bed and breakfast in the Swan Valley as we wanted to avoid conventional septic tanks due to our high water table. Our ATU has been excellent and performed very well. Installation was very straight forward and the regular maintenance has kept the ATU working perfectly. I would certainly recommend the Aquarius unit. 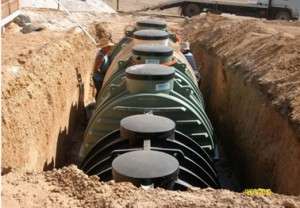 Construction Hydraulic Design have used the services and products of Aquarius Wastewater Management for many years on our commercial projects where an ATU disposal system is required. The advantages of Aquarius is that we, as designers, have available to us a company that is a one stop shop for initial sizing, costing, their own installation of the product and commissioning. This service provided to us is second to none and very professional. 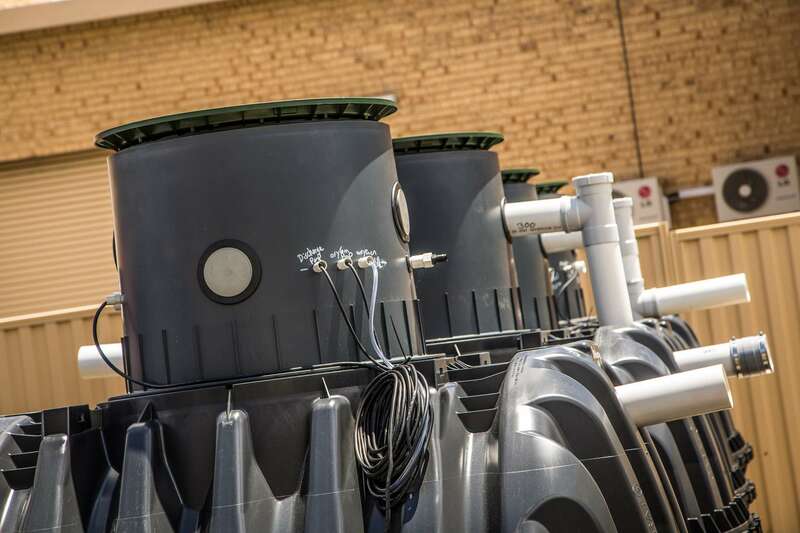 We have utilised other ATU suppliers in the past with mixed results but for a professional service to both ourselves and our clients CHD choose Aquarius Wastewater Management over all other suppliers and manufacturers. We did 3 systems with Aquarius in the last 12 months all of which were on budget, installed professionally and completed on schedule. I can recommend Aquarius. They are very professional; provide a quality product and excellent design assistance as well as great before and after service. We have developed a strong working relationship with Aquarius Wastewater Management due to the quality of their product and the support we receive during the design process of our projects. They provide us with constant feedback and technical specifications in regards to their products and developments as well as providing excellent after sales service to our clients. 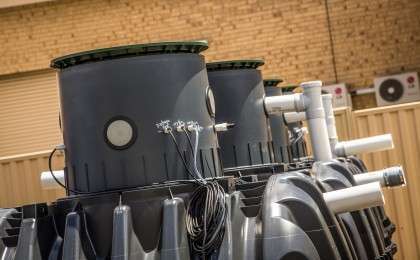 I specify Aquarius Wastewater Management products as they provide systems to cater for a wide range of waste water applications and excellent service to back it up.